Over the past 6 months i've been reading through the back issues of Alan Moore's new(ish) magazine Dodgem Logic. I'm really enjoying reading through the bubblegum card bios on 'Historic Hipsters', tips on guerilla gardening and a great article on Beat-era San Francisco. It's a great magazine to just casually dip in and out of as it's full of cool little facts and pieces of trivia. 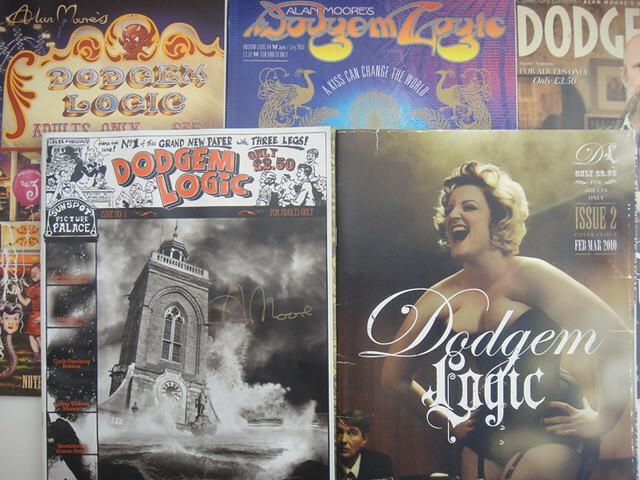 If you want to get a few issues for yourself head over to the Dodgem Logic website and order a few, postage is pretty cheap and the issues are only £3.50.